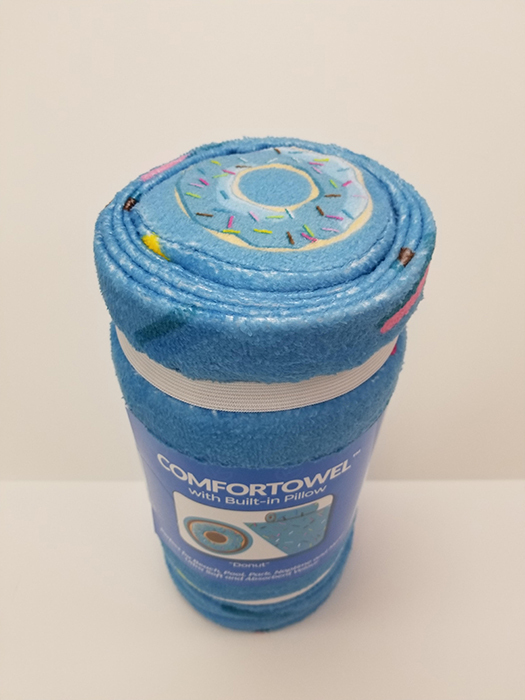 Save $2.00 each when you order 2 or more! 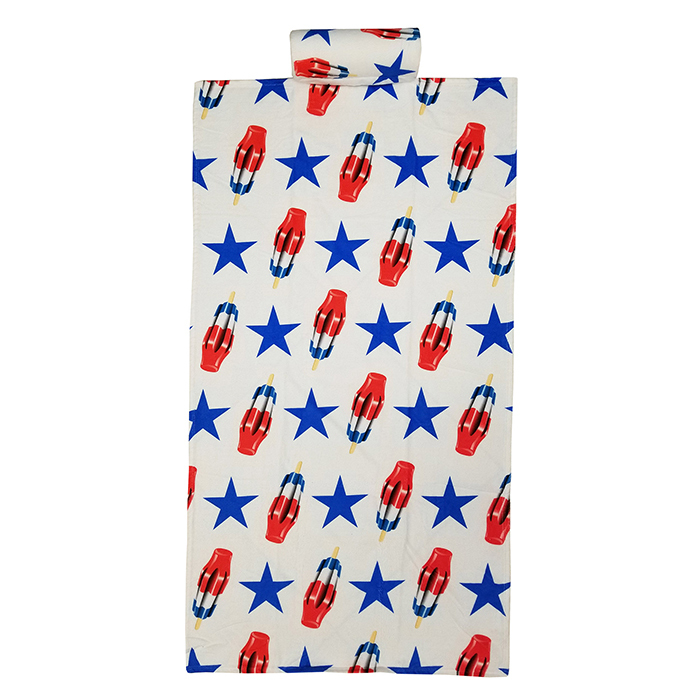 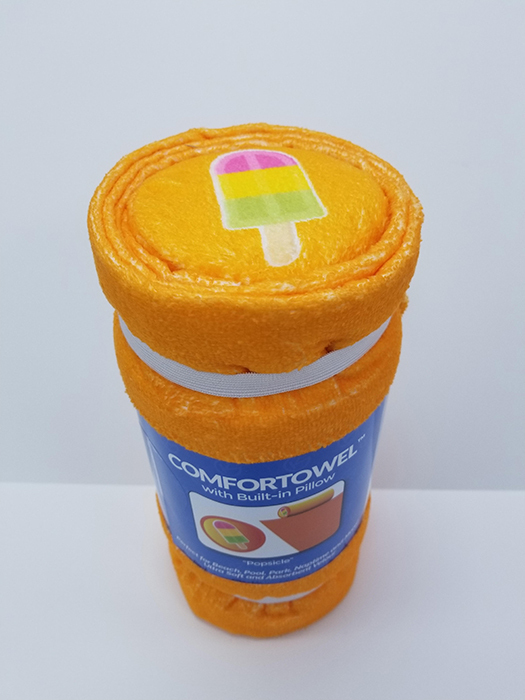 Ultra Soft and Super Absorbent Velour Beach Towel with attached Pillow. 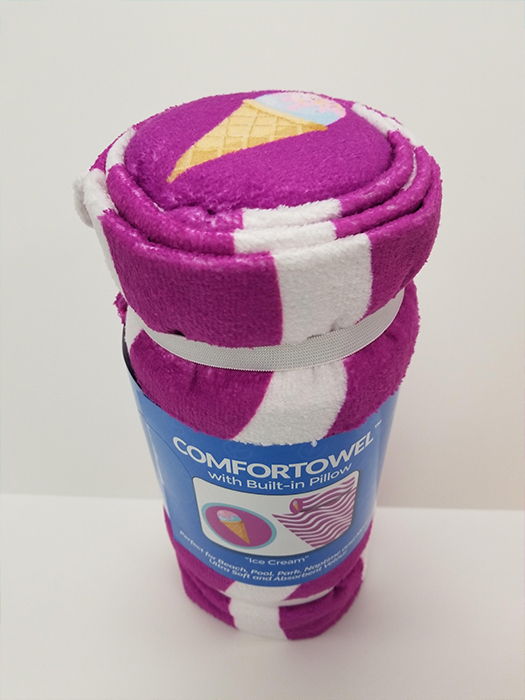 Machine washable and made with 52% cotton, 48% polyester. 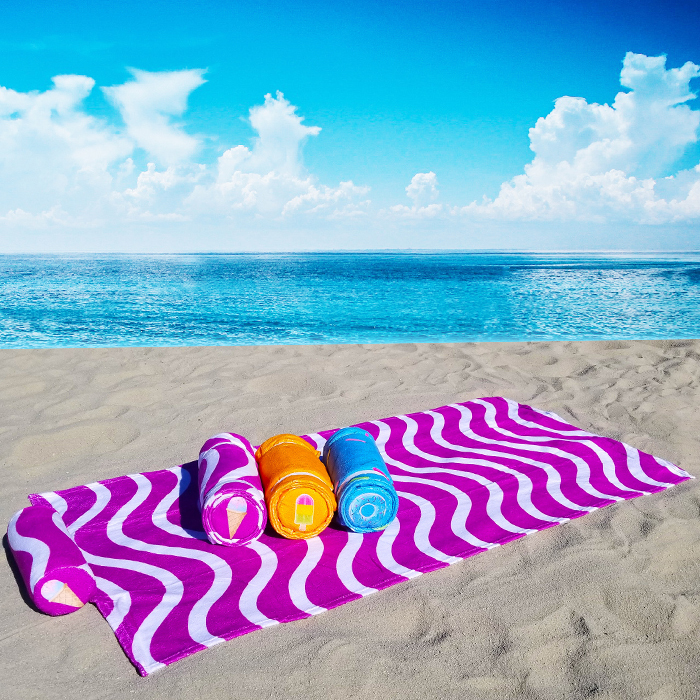 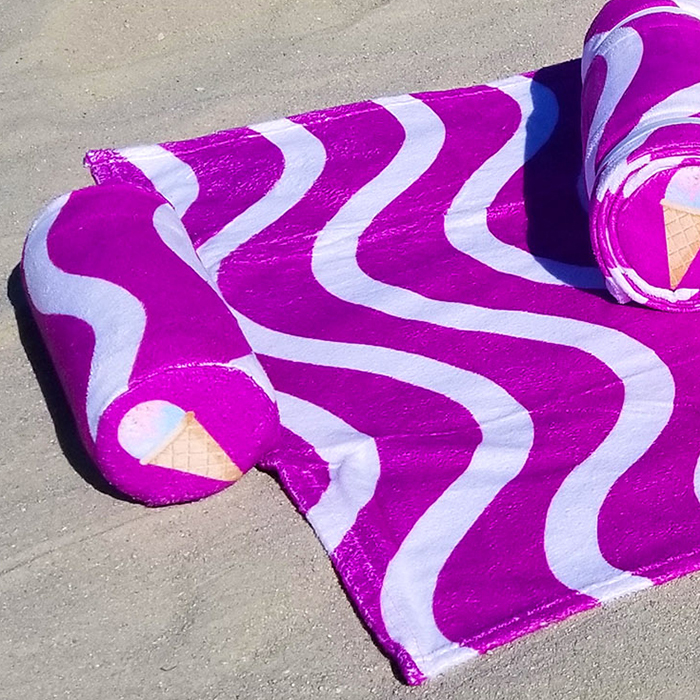 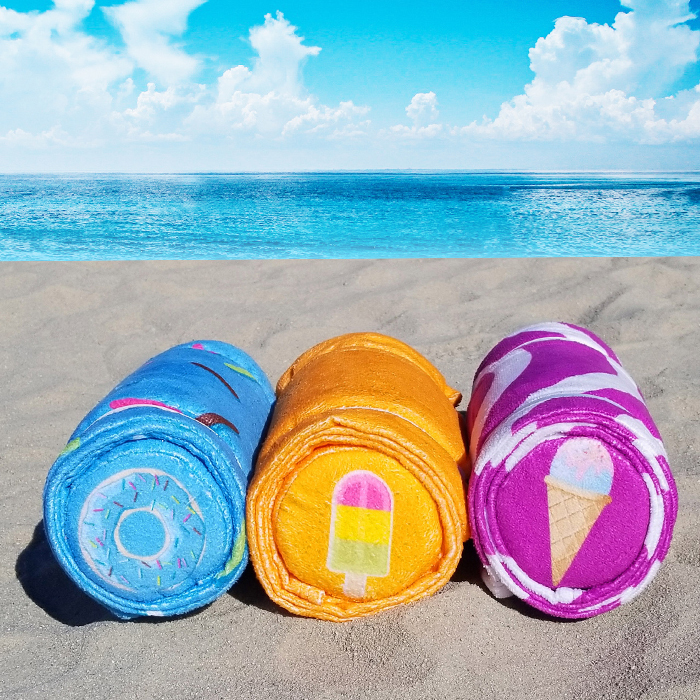 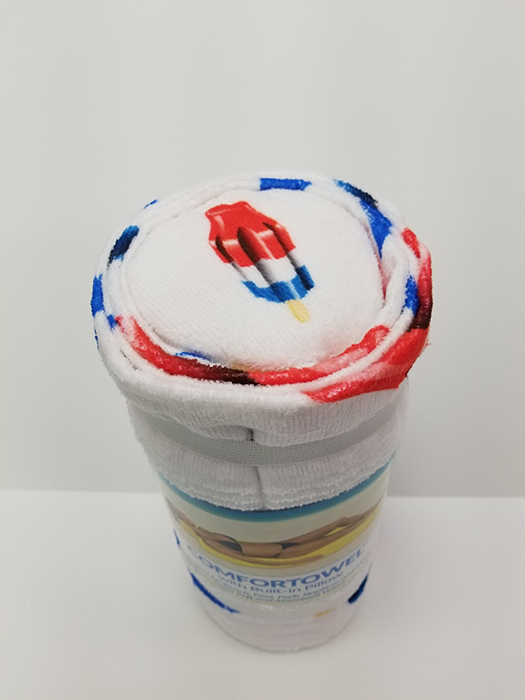 Beach Towel 32″ x 66″ opened and 12″ x 6″ diameter when rolled up.